I had a great time on my October visit to Scotland and can't wait to return in January. 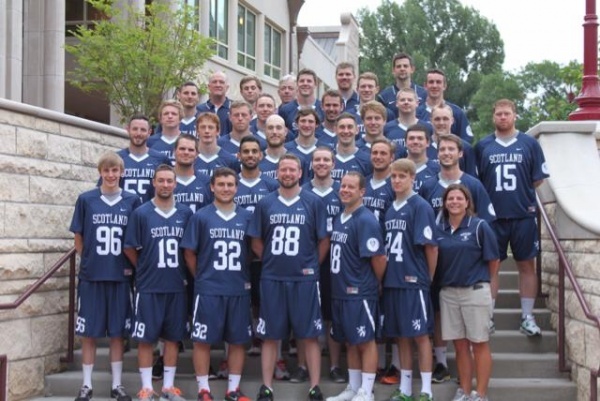 As the Head Coach of the Men’s National Team, I am committed to spending time on the field with as many players in Scotland as possible, contributing to their development and preparing them for both domestic and international competition. I would like to make a few changes to our Domestic Development weekends and encourage every one of you to come out the 12th and 13th of January to train with us, meet some new folks and enjoy great competitive lacrosse. Our sessions are geared toward player development with a great deal of instruction, up-tempo repetition work and competitive situational drills covering all areas of the game. In 2019 we will be adding a new element with a small-sided competitive tournament for the latter portion of the Sunday session. We will have prizes for top players, hardest workers, most improved, most fun and most outstanding. Our goal is to raise your personal level of play, have fun with the game and help players reach their goals in the sport of lacrosse. Interested in Development days this 2018/19 season? Dates for the rest of 2019 Calendar for National Development weekends will be announced early January 2019 - so keep an eye out for more Lacrosse opportunities!